Happy Halloween! We know that 👻 and 🧛🏻‍♀️ can be pretty spooky, but you know what else can really be scary? Poor digital marketing. After many years in the financial services industry, we’ve seen some pretty scary mistakes that will have you shaking in your boots. Despite what time of the year it may be, we’re here today to show you the top ten scariest marketing and website mistakes and how you can avoid them. Believe us when we say these mistakes are daunting – we dare you to read on! We decided to lead with this point for a reason, it’s super important! Let’s face it – there’s hundreds of thousands of financial advisors out there, and it would be terrifying to lose leads because you aren’t distinguishing yourself from all the rest! According to Hubspot, 55% of visitors spend less than 15 seconds on your website, so what you have to offer needs to resonate quickly with your visitors. You need to get your point across and draw in your visitors and show exactly how you stand apart from your competitors and what you are going to do differently. Visitors want to feel at-home on your website and want to feel that they can completely trust their potential advisor with their money, but also get an immediate sense of professionalism. This can be a difficult task to balance, as you want to convey all of these aspects, but it is pertinent to do this all in a quick manner to draw in your visitors and prove that your firm can stand above all the rest. Things move quickly these days, and people want their answers fast. Time is 💰 so don’t leave potential clients waiting. If someone visits your site and they have submit a question via a form, most places can guarantee an answer by EOD or within 24 hours, but many prospects want a response even faster! If a question is not answered in a short time frame, then you can consider that prospect gone. It’s likely that they have moved on to someone that can answer their questions in a more timely manner. In this day and age, a form or a phone number isn’t enough and many are turning to using more rapid response communication methods such as live chat features. Using an integration like this on your website can turn hours into minutes … even seconds! While a feature like live chat may require more manpower, we think the pros greatly outweigh the cons! Don’t 👻 your future prospects and get stuck missing out on an opportunity because you didn’t answer a simple question quickly enough. 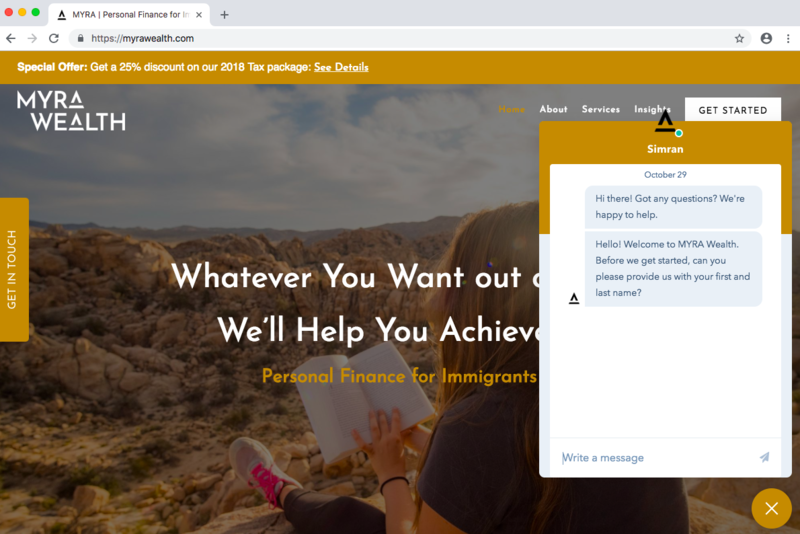 We like what Twenty Over Ten client Myra Wealth, has done in the example below with their live chat functionality. They have the feature integrated directly on their site, as well as, an easy-access contact page, making sure that their site visitors have multiple options to connect with the firm and get their questions answered. By now, you know that creating and maintaining an updated blog is an increasingly important part to your advisor website. As a financial advisor, you are extremely busy, managing multiple clients and often working overtime, so how are you supposed to find the ⏰ to create and update meaningful content that will be useful to your readers? We see all too many advisors trying to save on time (and money) by purchasing canned content. However, this is not the best idea, as nobody will be able to convey your message in the same way that you do. Though creating your own original content may seem like an unnecessary, time-consuming task, don’t make this cardinal mistake. By creating your own content you’ll be able to speak more meaningfully to your niche, and drive the types of visitors to your site that you want. 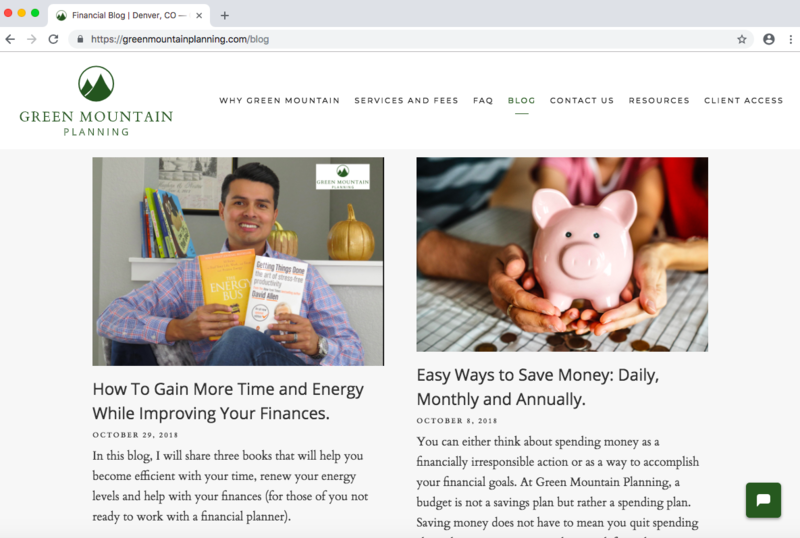 Twenty Over Ten client, Green Mountain Planning, does a great job of creating their own blog content and keeping it updated with relevant content in a timely manner. 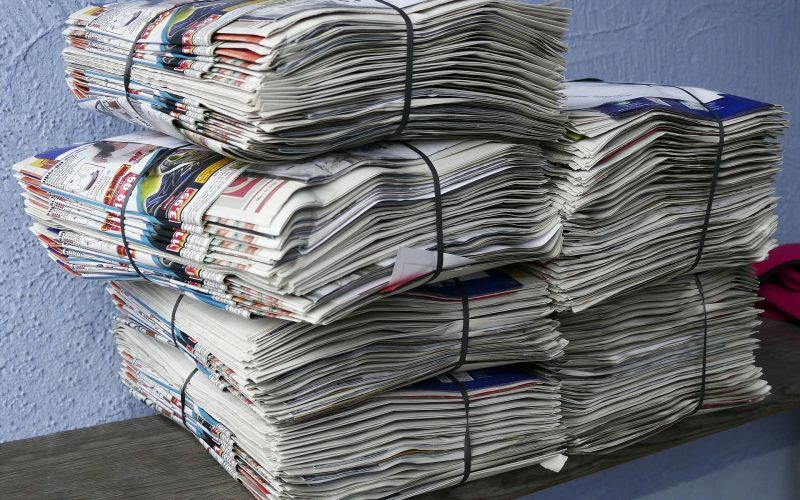 It is important to add new content continuously so that you can continue to prove yourself as a thought-leader in the industry who stays on top of financial news, as people are looking for an advisor who is “in the know” and that they can trust. We talk about the importance of quality over quantity, which is why you don’t want to scare🧟‍♂️visitors away with too many pages and subpages on your website! For prospects, just choosing who your advisor should be can be a daunting task in itself, so why clutter your website with multiple unnecessary pages when you could describe what you do in a few neat and orderly pages? You don’t need to spell out every single service that you offer, but rather tell your story, show what you offer and discuss how you can solve your visitors pain points. 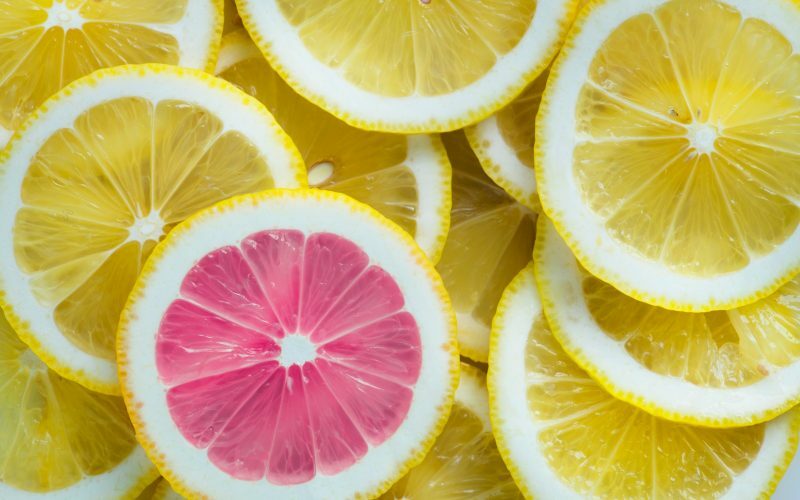 We work with tons of advisors and we’ve heard it all too often: “marketing to a niche demographic might put me at a disadvantage by limiting the scope of potential clients.” Wrong! Developing a niche can actually create more value for your marketing dollars and provide you with more quality leads. Think of it this way … do you want to go to an Italian restaurant who also happens to have burgers, hotdogs and fried chicken on the menu? No, you want to go to the restaurant that offers the best and most authentic meal that specializes in Italian food. As we continue to see the digital world grow and we see the rise of more virtual financial planning tools, clients will no longer search for a planner who is the best in their geographic area; but rather they will search for the planner who is best able to meet their individual needs. Twenty Over Ten client, C.L. Sheldon, has found their niche serving the military professionals and their families, and this is evident throughout their entire website through their visuals, graphics, and content. 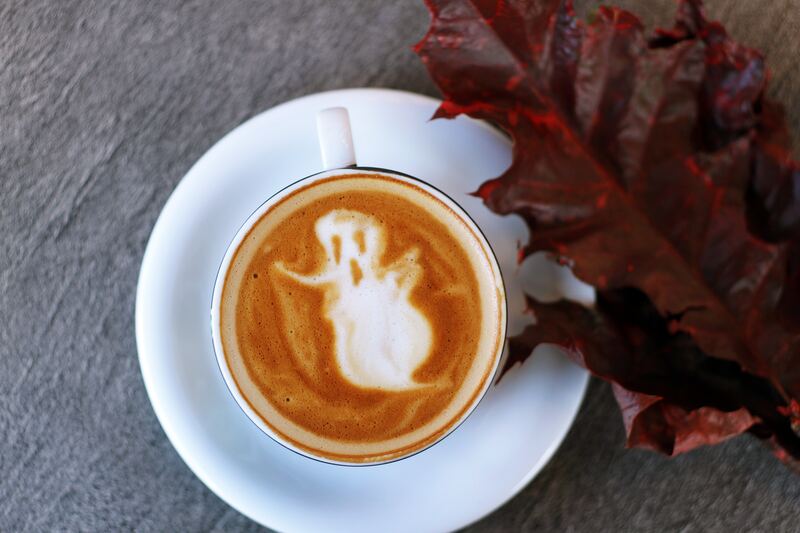 At the surface SEO may seem like a spooky endeavor, but we promise it’s not! By ignoring efforts to optimize your website your business will never be found when searching locally for a financial advisor. An easy first step in SEO is claiming and/or verifying your business on directories like Google My Business, Yellow Pages, Brightscope, and others. By starting here first you can update your contact information, hours of operation, and website URL, to ensure your NAP (name, address, phone) data is consistent. If SEO still sounds like a scary undertaking, our team is here to help. Twenty Over Ten’s SEO essentials package will get you set on the right foot and lay the essential groundwork necessary to excel in ranking higher in search engines like Google. We know you – as an advisor you love numbers. But let’s be real, how often do you look at your website analytics? 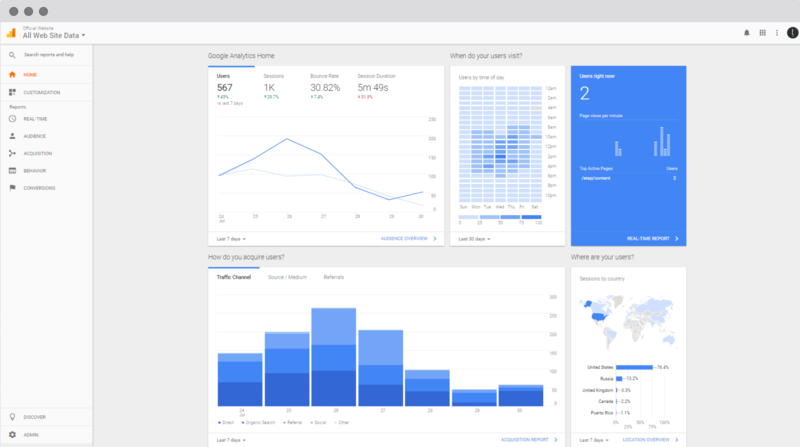 It’s time to shake the 🕸 off and begin to use tools like Google Analytics and Google Search Console to capture data about your website’s performance. Doing so will provide valuable data to improve your marketing efforts and begin to learn more about your site visitors, target audience, and more. Don’t get us wrong, visuals are a key element to any website. However, it’s important that they add to the story that you are trying to tell. Rather than just throwing any stock photo into the mix, the visuals and graphics used throughout your site should tell your businesses story and what differentiates you from other companies. 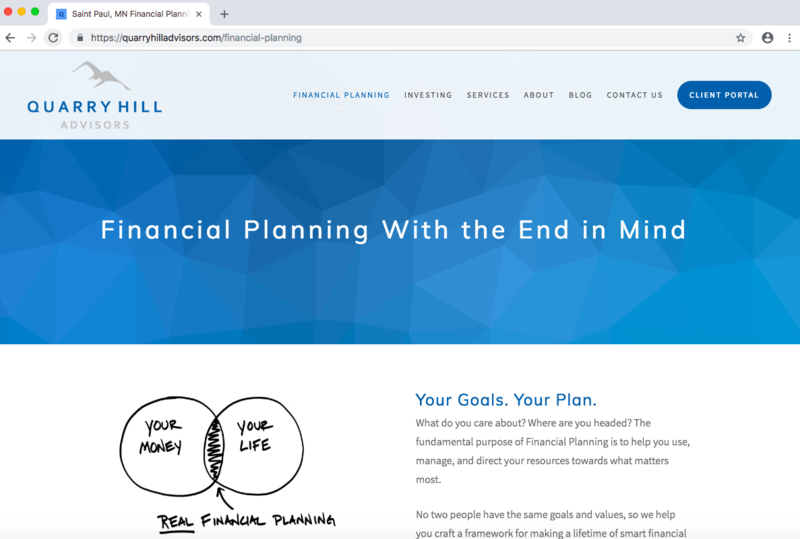 Designing websites for financial advisors, our team works to capture the audience’s attention and inspire them to become engaged with the services that our clients offer. A picture is worth a thousand words and there is a time and place for stock photos, when used properly. However, we are also huge advocates for conveying a more personal feel through the use of real images. Photos of your team collaborating with one another, engaging with clients, or of just the culture around the office can help potential clients feel immediately feel at home and at-ease working with your firm. 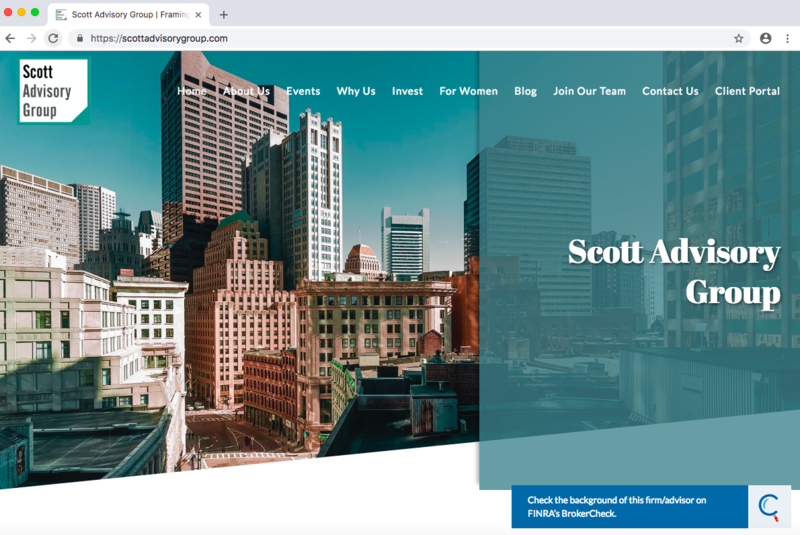 We love the significance of the imagery Scott Advisory Group uses throughout their site. Located outside the city of Boston, the backdrop of the Boston skyline front and center on their homepage is the perfect fit. You would be hard-pressed to find anyone without a smart phone glued to their hand these days. If you site isn’t mobile-friendly, then that makes for a terrifying problem! Our internal research shows that for most advisors, about 30-50% of all their website traffic comes from mobile devices and that number is only expected to increase over time. Having a mobile-friendly website is no longer just a convenience, your website MUST be mobile-friendly. Not only is having a mobile-friendly site important to the user experience, but Google and other search engines are now knocking down your ranking if your website is not mobile responsive. At Twenty Over Ten, we are dedicated to creating websites that are beautiful and created with a mobile-first approach. You will find that all of our frameworks are mobile responsive and offer your site visitors a seamless experience regardless of the device a user views your website on. 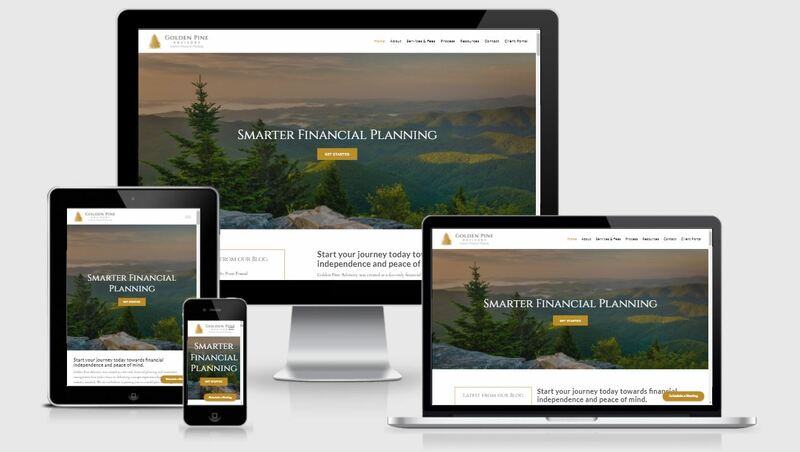 Example of a responsive financial advisor website from Twenty Over Ten client, Golden Pine Advisory. This may be last on our top 10 list but it is still incredibly important! Social media is an easy and affordable way to connect with potential clients and like-minded individuals and demonstrate your thought leadership. If you don’t have a presence on social media you are sorely missing out. 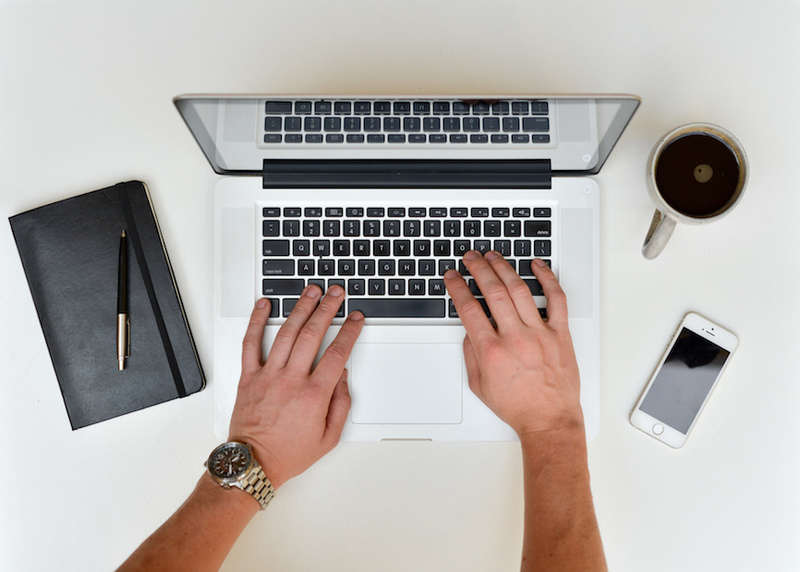 It’s important to make it easy for your website visitors to check out your social pages. We recommend placing your social icons in a convenient location such as your footer, header and/or contact page. In addition to making your pages accessible, social media is a great avenue to effectively promote your blog content and other freemiums like white papers, ebooks, and more. Ready to Create a Bootiful 👻 New Website?